The sense of excitement across the country over to the on-going Commonwealth games in Gold Coast Australia is one that is understandable. As of Tuesday morning, the nation was sure that it will at least have four medals by the end of the games as boxer Juma Miro negotiated through his quarter final bout against Shafi Hassan of Kenya thanks to a judges split decision that read 3-2 in favour of the Ugandan. This means that Juma has at least won a bronze medal and can go one or two better by winning silver or gold respectively. If he can defeat his next opponent, he will have at least a silver in the bag and if he manages to win his next two bouts, he will have won the nation its first gold medal at the Commonwealth in boxing since both Godfrey Nyakana and Justin Jjuuko won Gold in Auckland back in 1990. 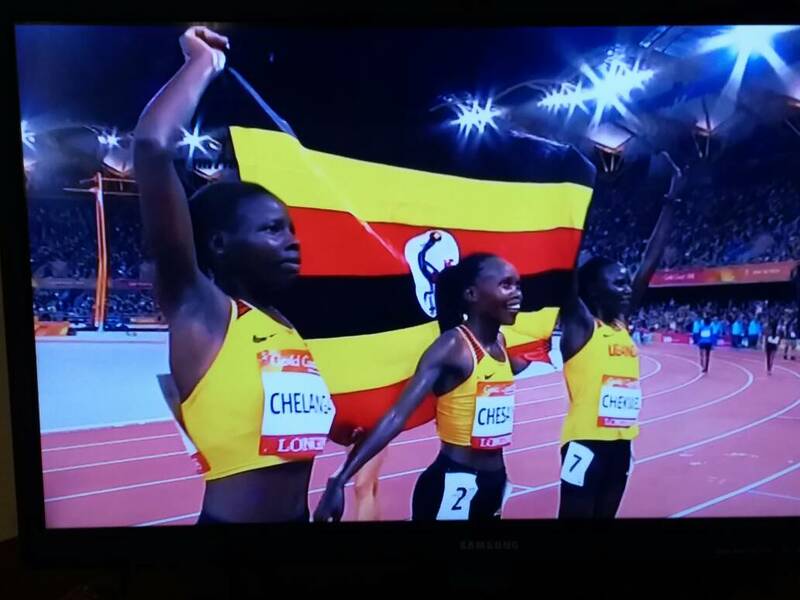 Juma aside, the nation has already seen Stella Chepsang and Joshua Chiptegei win gold in the Women’s 10,000 and Men’s 5,000 meter races respectively in a space of two days, on top of a bronze medal backed Mercyline Chelangat who finished third in the same race that Chepsang won. Looking at Uganda’s history at the games, the last Commonwealth in Glasgow, Scotland saw us win only one gold medal when Moses Ndiema Kipsiro led in the 10,000 meters race. As it has been the norm with several Athletes in Uganda, Kipsiro is somehow not part of the team competing at this year’s games. 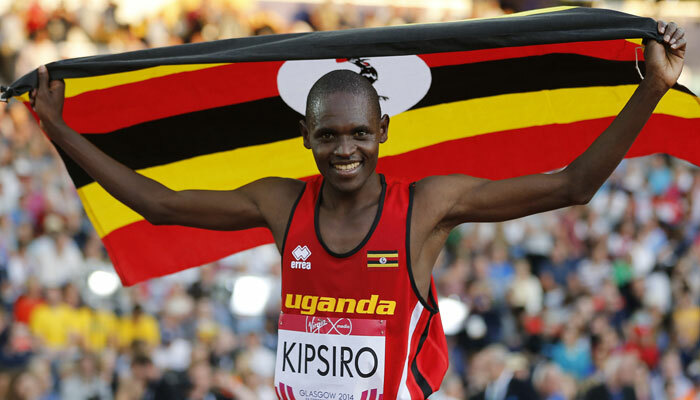 In New Delhi 2010, Uganda managed two medals, both Gold also won by Kipsiro who won that sole gold in Glasgow. In 2010, Kipsiro topped his 10,000 meters Gold with another in the 5,000 meters race. Moses kipsiro won three gold medals for Uganda at two different commonwealth events. In Melbourne 12 years back, we managed two medals only, both Gold as Dorcus Inzikuru won the women’s 3,000 meters steeplechase and Boniface Kiprop triumphed in the 10,000 meters men race. With our past history suggesting that it is rare to win more than two golds, it is understandable why the excitement is high amongst the general population as we all await what would be an historic third Gold in Gold coast. The only one occasion when we won more than two golds dates back to 1970 in Edinburgh when the trio of James Odwori, Mohammed Muruli and Benson Masanda won gold in their respective boxing weights. It remains to be seen if that fate can be equalled or bettered by the end of the games but it is clearly understandable where Ugandans are driving their excitement from at the moment. 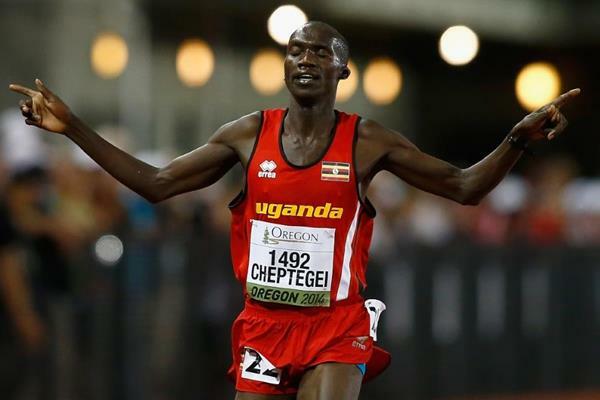 Josua Chiptegei is one of two athletes to win Uganda gold at the on going commonwealth games in Australia.